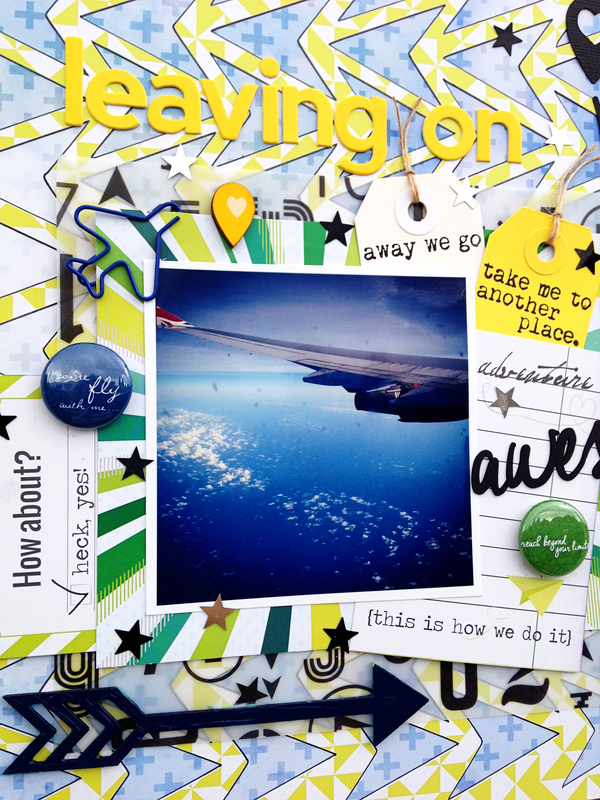 Today I'm sharing my first layout created with the Clique Kits Study Abroad September kit. Clique Kits is teaming up this month with The Cut Shoppe and this is one awesome combination. 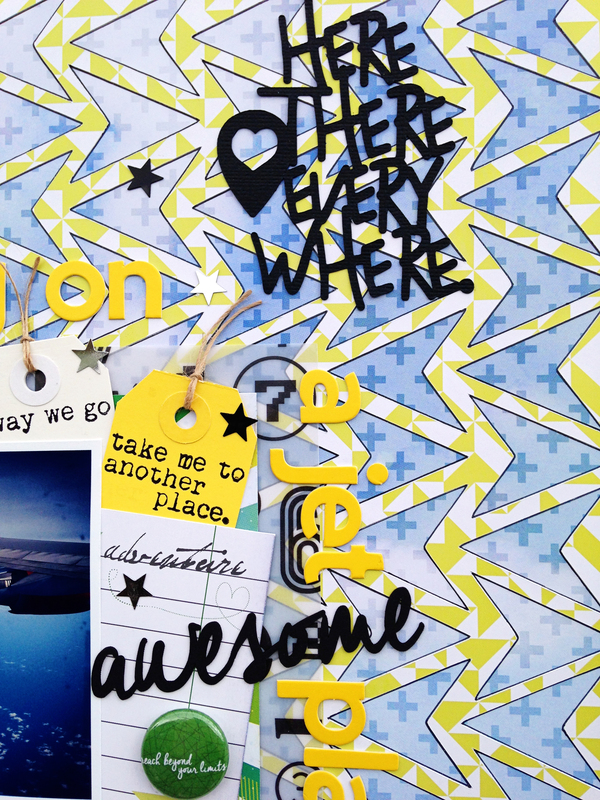 Ashley designed some fabulous cut files that go perfectly with this month's kit. I love the strong blue colors in this picture I took during a flight and they worked so well with the papers in the kit. These papers are from Studio Tekturek, which was a new company for me. I loved playing with the bright colors and wonderful designs! 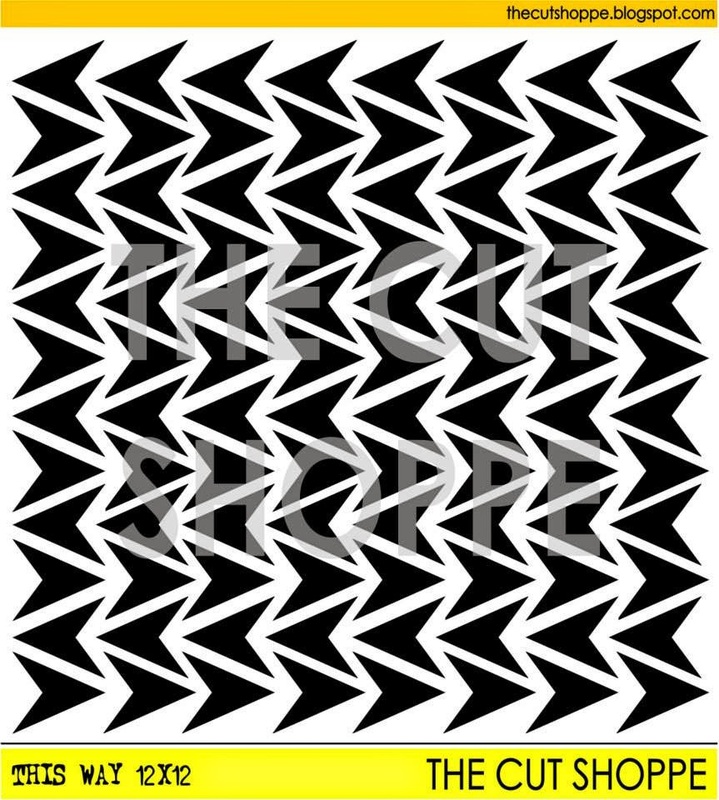 The This Way background and Here There Everywhere cut files are from The Cut Shoppe, designed for this kit. And don't you just love this yellow alpha from Jillibean Soup? It's available in the Clique Kits School Store where you can find extra matching-to-your-kit goodies each month. Wow, Danielle! Those cuts are so intricate and they add great detail to your page! Absolutely GORGEOUS!! LOVING the colors and all the arrows!!!!!! 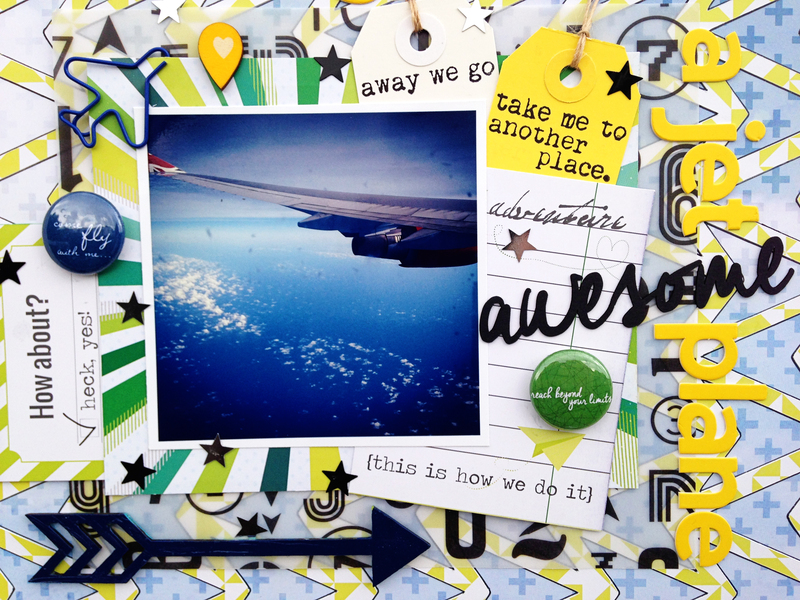 Love the arrows and all the little goodies tucked around your photo! 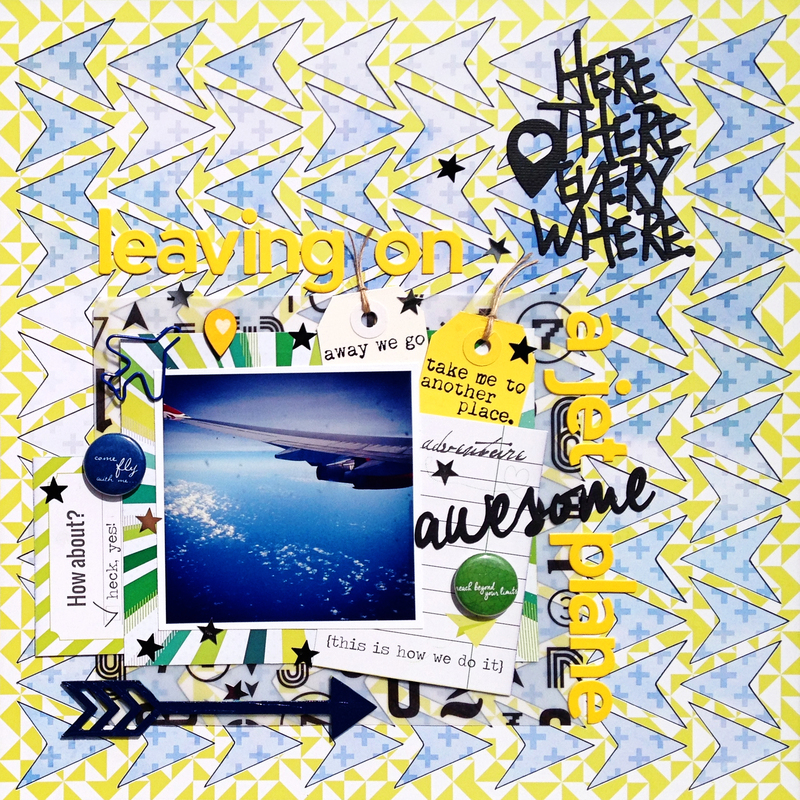 I love the way you used the cut files on this layout, Danielle!! The background looks so awesome!! great layout, as always, Danielle! you work so well with the cut files!